Black Shark 2 Review: The new king of mobile gaming? The Black Shark 2 is the ultimate gaming smartphone. Loaded with fancy features and offering super-powered performance, even non-gamers will get great value for money at this low price. What is the Black Shark 2? 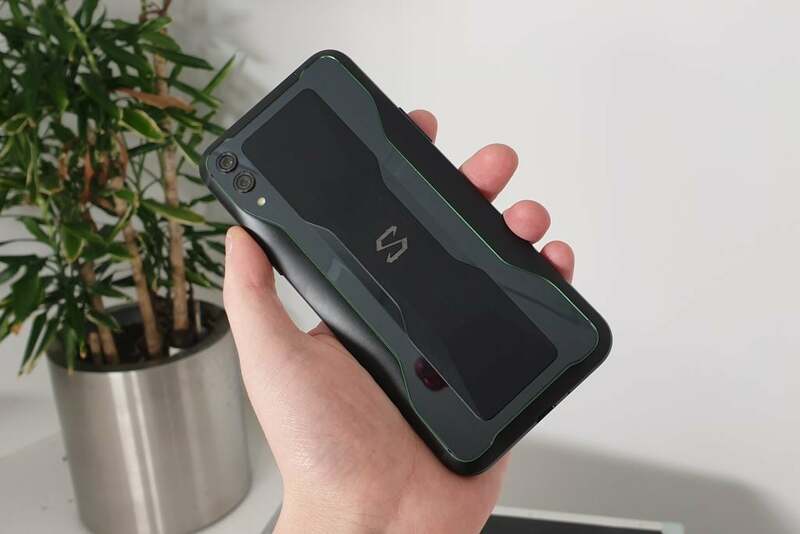 The Black Shark 2 is a new smartphone boasting enough gaming pedigree to essentially double up as a portable gaming device. This isn’t a new concept, with the Razer Phone 2 and Asus ROG Phone falling into the same category of devices. But with the Black Shark 2 packing a Snapdragon 855 processor and the 8GB of RAM, it will feel like having your own mini-gaming PC in your pocket. It isn’t only power the Black Shark 2 has on offer. You’ll find plenty of exciting gaming features here, including a pressure-sensitive screen for improved control, a liquid-cooling system that keeps temperatures from soaring – and the world’s first X-antenna, which helps to maintain a stable connection to the internet. Best of all, though, are the Black Shark 2’s optional clip-on controllers. You’ll have to pay extra for them, but they appear to be worth the additional cost since they turn the Black Shark 2 into the smartphone equivalent of the Nintendo Switch. 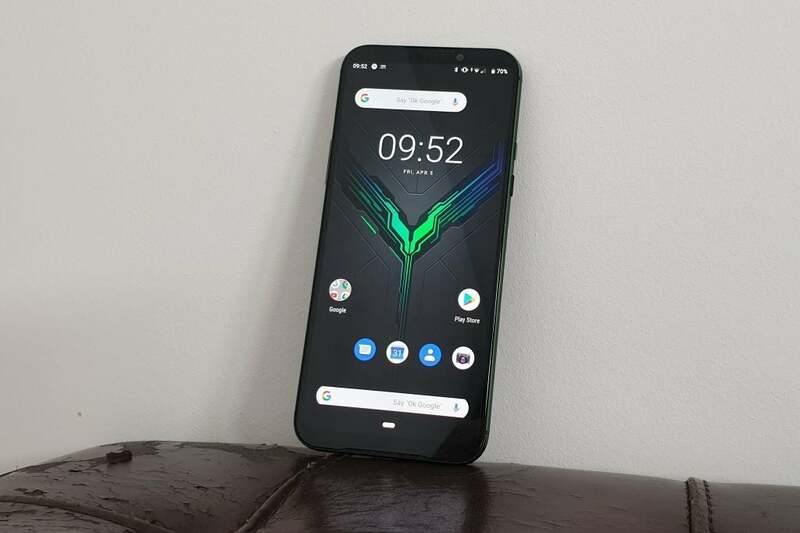 Personally, I think the Black Shark 2 is the best-looking gaming smartphone on the market. Sporting curved edges – as opposed to the sharp corners of the Razer Phone 2 or the over-the-top looks of the Asus ROG Phone – it manages to retain some gaming glamour. From the front, it looks like a generic Android smartphone – one without a notch, however. The bezel is incredibly thin, looking very similar to the Samsung Galaxy S9 Plus, without the latter’s curved sides. With a 6.39-inch AMOLED screen and a thin bezel, the Black Shark is a large smartphone. I really have to stretch my thumb to reach the icons at the top-left of the screen. When the light hits it at a specific angle, you’ll notice the reflective green strip running around the device’s edge. It’s a subtle, but attractive detail that gives the Black Shark 2 a dash of personality without being in your face. You also get a light strip on either edge of the handset. It doesn’t emit any light most of the time, pulsing green when the Black Shark 2 is charging. I also noticed that when playing music through Spotify, the light bars will dance to the beat and flash a rainbow assortment of colours. This feature will no doubt please fans of RGB lighting – but, importantly, it’s unobtrusive enough to avoid becoming annoying. On the rear, the Black Shark 2 has a very distinctive design. Glass curves around a metal strip in the middle for a snazzy effect, bringing attention to the pulsating Black Shark logo in the centre. The two camera sensors are arranged in a vertical line atop the glass, completing the device’s stylish and unique look. Elsewhere, the Black Shark 2 opts for a minimalist approach to its buttons. There are only volume controls on the left, while the right side is home to the sleep button and the Shark Key toggle that lets you activate the gaming-focused mode. Unfortunately, there’s no headphone jack here, which I think is a significant omission considering owners will probably want to use their gaming headphones with a 3.5mm connection. You do get a USB-C-to-3.5mm adapter bundled in the box, which is handy, but it still means you won’t be able to charge the Black Shark 2 simultaneously whilst wearing wired gaming headphones. There’s also no microSD slot, so you’ll have to settle for the 128GB onboard storage – but that should be plenty enough for most to be fair. Black Shark has built the fingerprint scanner into the display. I found it super-responsive and speedy, and I’m also a huge fan of the slick animation that comes to life upon its activation. The Black Shark 2 flaunts a tall 6.39-inch AMOLED display with a 19.5:9 full body aspect ratio. This is a similar size to the Samsung Galaxy S10 Plus, and such is on the larger side compared to the gamut of smartphones currently available. Thanks to the AMOLED screen, the Black Shark 2 offers excellent contrast. Dark scenes benefit hugely, whether that’s a centipede crawling through a rainforest at night on Planet Earth II, or Daredevil smashing up criminals in Hell’s Kitchen. 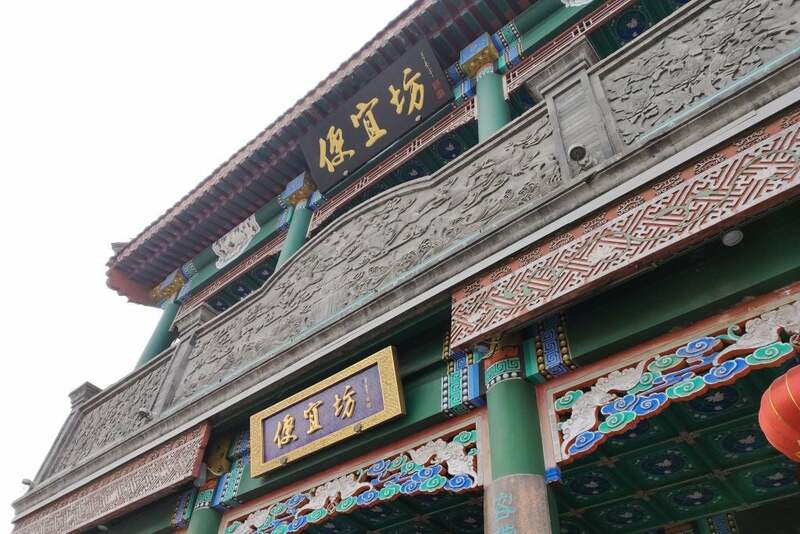 Detail lacks sharpness, though, which is no surprise given its Full HD resolution. Representatives of Black Shark said the reason for snubbing Quad HD was simply because they wanted to keep costs down, which is reasonable. Nevertheless, I’d still have welcomed the option. 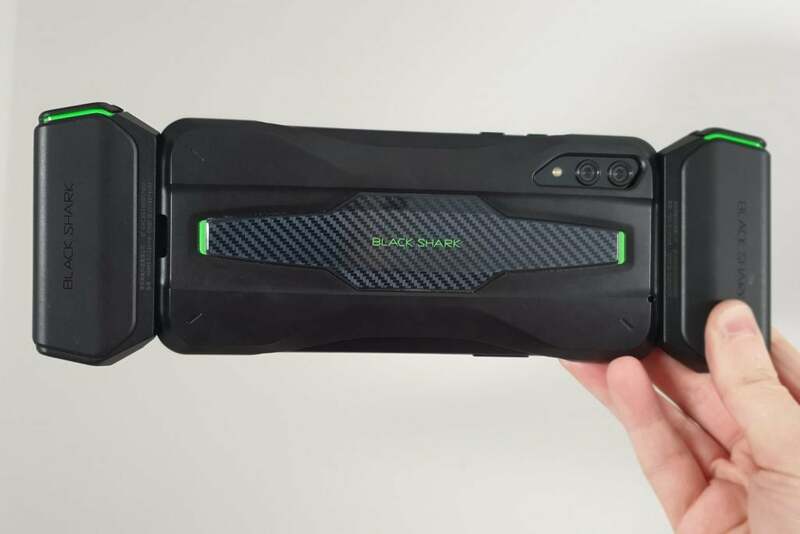 Black Shark also revealed that there may well be an additional Black Shark model in the future that features a Quad HD resolution – so if this is a massive deal-breaker for you, you’ll just have to be patient. 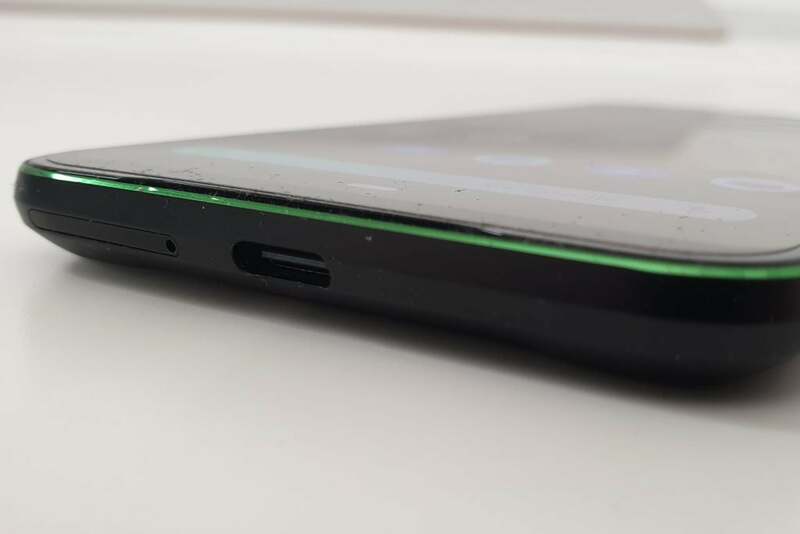 I was disappointed to find that the refresh rate on the Black Shark 2 tops out at only 60Hz, which is dwarfed by the Razer Phone 2’s 120Hz display. A high refresh rate results in slicker visual performance, which is especially important for fast-paced shooters and racers. When asked for the reason the smartphone doesn’t offer a more competitive refresh rate, Black Shark representatives explained that it’s difficult to incorporate a refresh rate beyond 60Hz on an AMOLED display without driving up costs dramatically, not to mention, many games don’t support rates higher than 60fps. Again, this was a reasonable explanation, since the Razer Phone 2 has an LCD screen. Personally, I’d rather have the AMOLED display than a faster refresh rate, but this really depends on the kind of games you’re likely to play. With a peak brightness of 430 nits, the Black Shark 2’s display is bright enough to be visible in strong outdoor lighting conditions, but I’ve found myself having to crank up the brightness to max when it was particularly sunny outside. And for occasions when you’re sitting inside in the dark, the DC light dimmer allows for a more comfortable experience, reducing the risk of eye strain by intelligently altering screen brightness. The Black Shark 2’s display has many other gaming-focused features. TrueClarity MEMC Technology processing, for example, helps to reduce judder and blur for smoother visuals. In another “world first”, the Black Shark 2’s 43.5ms latency is apparently the lowest ever seen on a touchscreen smartphone yet. Low latency is incredibly important in gaming, ensuring a fast response from input to what’s displayed on screen. 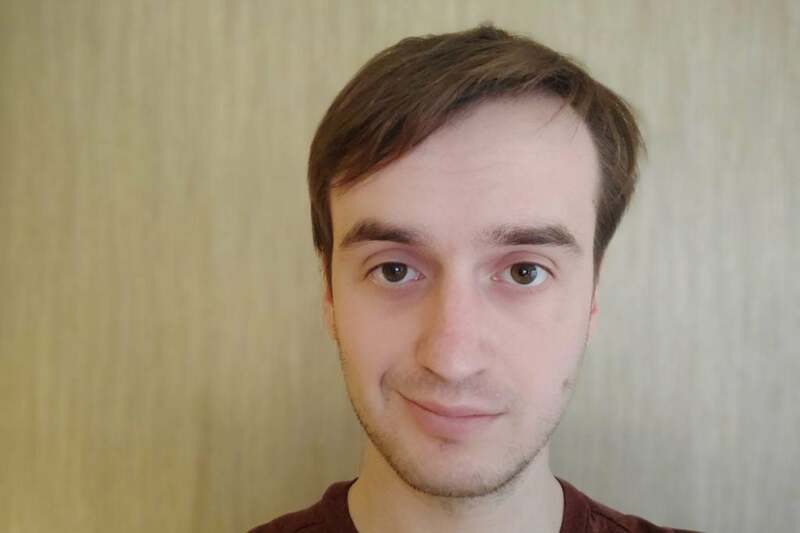 Gamers know every millisecond counts when playing competitively, often proving the difference between death and victory. The Black Shark 2 screen also supports pressure sensitivity, which the Chinese company calls Master Touch. Previously seen on the likes of the iPhone, this technology allows the screen to register a hard press as a separate command to a soft tap. This means that you’ll not only be able to use your right thumb to aim your weapon, but also to fire – without having to lift it off the glass. Black Shark claims that this will save you at least 80ms, giving you a slight but vital edge in a firefight. What’s more, the Black Shark 2 can use its Master Touch capability on both ends of the screen, so you can map an input to the left side of the display as well as the right. While playing the Chinese equivalent of PUBG, I mapped the jump command to the left-side Master Touch and the fire trigger to the right. I was pleasantly surprised by how quickly I adapted to this new control scheme, which immediately felt more intuitive than traditional on-screen buttons. Master Touch is fully customisable, too, so you can set up the best control layout to suit your play-style. It’s simple enough to set up: simply drag the L and R icons onto the on-screen buttons you want to activate, and then tweak the box size where you want Master Touch to operate. Easy peasy. The Black Shark 2 is the most powerful Android smartphone we’ve tested yet – at least based on the benchmarking scores it produced. 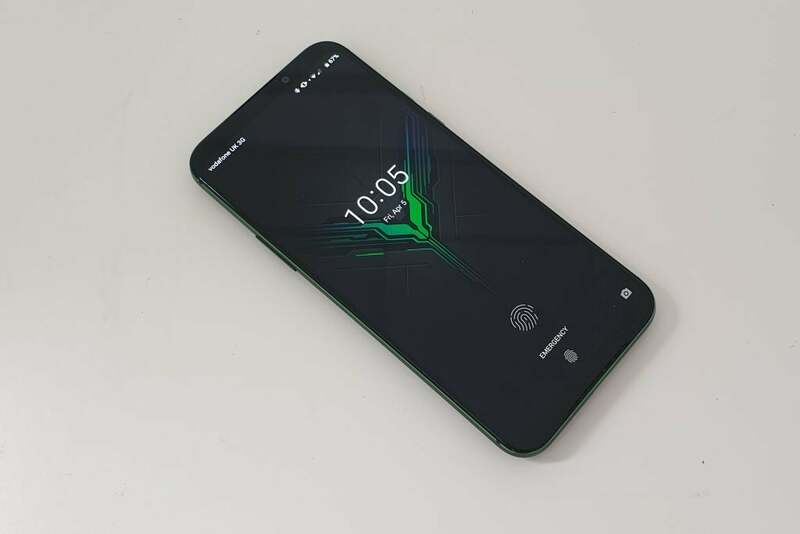 The Samsung Galaxy S10, Xiaomi Mi 9 or Razer Phone 2 all pale in comparison to the Black Shark 2’s benchmark results, despite all three of those smartphones being well known for their performance prowess. In terms of the best gaming smartphones, there isn’t a competitor that comes close to the Black Shark 2’s benchmark results. Whether it was the Antutu, Geekbench 4 or 3DMark’s Sling Shot Extreme results, the Black Shark 2 absolutely flattens the Asus ROG Phone and Razer Phone 2. This translates to slick gaming performance, with brief loading times and fast-paced movement appearing smooth. Look at the Black Shark 2’s specs, and those benchmark results aren’t too surprising. The device boasts an ultra-speedy Qualcomm Snapdragon 855 CPU. That seemingly isn’t enough speed for Black Shark, though; it rocks 8GB of dual-channel RAM, which greases things up for even greater fluidity in the face of demanding titles. In addition, there’s a generous 128GB storage on board so, despite its lack of expandability, there’s plenty of room for all the games you might want to download. At a price of £479, the Black Shark 2 offers seriously impressive value. At launch, China and the rest of Europe benefit from the option of an additional version with a colossal 12GB of RAM and 256GB storage. Frankly, these numbers are unquestionably overkill, but if you want the best of the best, it can be had for €649. Thankfully, patient Brits will also be able to buy this beefier model locally when it launches later this year, with a proposed price of £559. If, for some bizarre reason, you’re craving more power while you game, an aptly named Ludicrous mode (a tip of the hat to Tesla perhaps?) will unleash all of the smartphone’s CPU might for a rocket-powered performance. 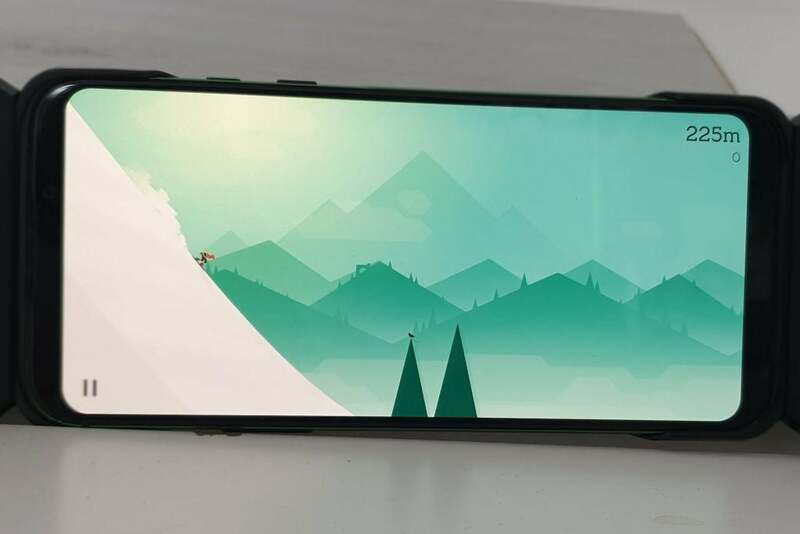 The Black Shark 2 is supposedly the only smartphone in the world that can release such a massive hike in performance without seeing a drop in the frame rate, which is essential for gamers who want super-smooth visuals. Worried that such blistering power could result in a phone that’s so hot you could have sworn you must have left it in the microwave? Black Shark seems confident this won’t be the case thanks to the inclusion of its multilayer liquid-cooling system. This is reportedly the first smartphone to boast such technology – and I can confirm that I never felt the phone heat up following extended hours of play. When it comes to mobile games, it isn’t only raw power that affects performance. 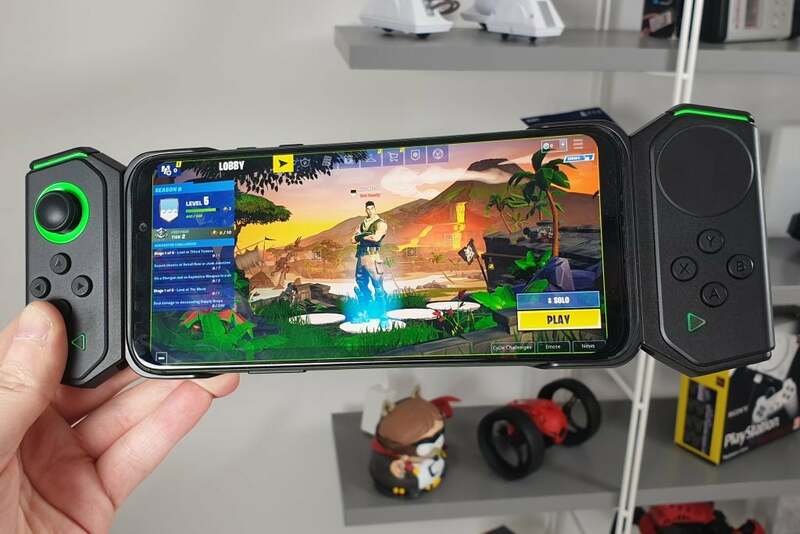 Whether you’re a Fortnite addict, Super Mario Run junkie or Pokémon GO diehard, you’ll know a stable internet connection is essential for a slick experience. 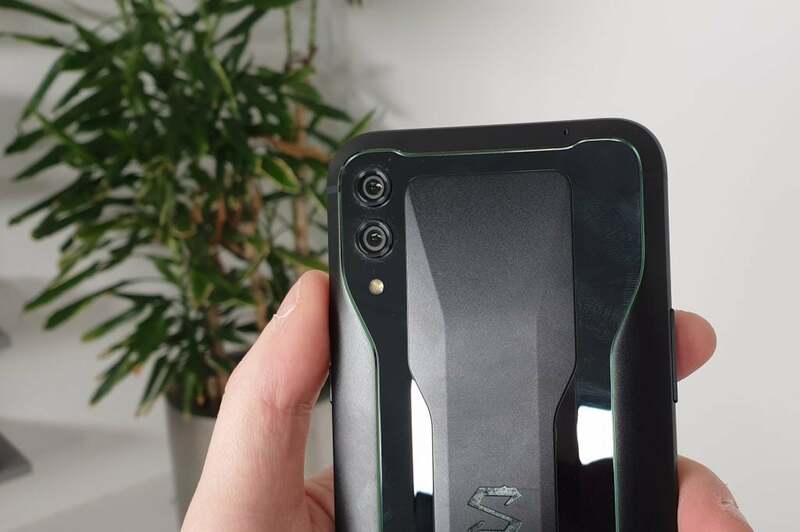 For this reason, the Black Shark 2 has been fitted with an upgraded version of the company’s X-type Smart Antenna, as well as two more antennas on the side in order to maintain a strong network connection regardless how you’re holding the smartphone. Working down in the basement my Samsung Galaxy S9 always struggles, yet the Black Shark 2 maintained a consistent 3G connection every day. The Black Shark 2 provides the option of using two controllers that look and control very much like the Nintendo Switch’s JoyCons. Personally, these detachable extras are a huge help, especially with first-person shooters and the like. I’d usually leave these types of games well alone; considering touchscreen controls can only be made so good. But with the additional hardware, you feel you have that much more control over the game. The analogue stick of the left pad is particularly useful for navigating 3D environments, while I’m a big fan of shoulder buttons since console controllers have conditioned me to automatically hit the top to fire my weapons. Instead of having a second analogue stick for aiming your gun or the camera, Black Shark has implemented a touchpad. I’ve found this to be a little unresponsive, which can become frustrating in an intense firefight in Fortnite. There are also D-pad buttons and some X, Y, A and B buttons in the same arrangement as you’d find on an Xbox controller. These are too plasticky for my liking, but they offer ample “clickity” feedback. 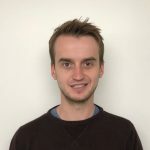 Connecting the controllers to the Black Shark 2 is incredibly easy. Flick the “on” switches at the bottom of the controllers, and they’ll automatically sync up via Bluetooth. You can use a protective case to attach them to the sides of the smartphone, too, but this isn’t mandatory. However, you won’t be able to charge the controllers by hooking them up to the smartphone like you do with the Nintendo Switch. I didn’t find that an issue, though; the Black Shark 2 gamepads offer generous battery life and use USB-C to charge –the same connection as the handset uses. It’s awkward when trying to use them while charging, though. The Black Shark 2 makes it very easy to customise the controls for each game, using a drag-and-drop system instead of intimidating menus. Just slide one of the icons to the on-screen buttons, and it will become the trigger for that function. The controllers and protective case will set you back an additional £69, but they’re worth the investment – especially since the entire package cost is only £548, which is still cheaper than most flagship smartphones. Of course, you’ll need a beefy battery to keep this smartphone chugging along as you abuse it with some all-day gaming. Fortunately, Black Shark has fitted a whopping 4000mAh cell into the smartphone. This was plentiful enough to get me through an entire day. In fact, with casual web and social media browsing, the odd YouTube video, music playback on my commute and the occasional session of Alto’s Odyssey or Pokémon GO (when my boss wasn’t looking), the Black Shark 2 survived more than 24 hours before running out of juice. That’s ridiculously good considering most flagship smartphones would die out before bedtime. Obviously, the battery will deplete a lot faster whilst gaming. Playing Fortnite for an hour with brightness set to the max, consumed 17 percent of the battery’s power. Theoretically, this means you should get around five hours of game time, which matches up with Black Shark’s claim. Play a less intensive game, though, and you’ll be able to squeeze even greater longevity out of this smartphone. The battery only fell by 13 percent after playing Alto’s Adventure for an hour, which equates to more than seven hours of play. These are both very impressive figures. I also tested how the battery performed whilst watching video. An hour-long episode of Ozark in Full HD with brightness set to full consumed only 7 percent of the battery, meaning you should be able to get around 14 hours of Netflix gold from a single charge – that’s an entire season! You’d think that one consequence of having such a big battery would be that it takes some time to top up, but thankfully that isn’t the case here. Black Shark was smart and generous enough to bless the Black Shark 2 with impressive 27W fast charging. As such, the phone can be filled up to 66 percent charge in just 30 minutes (enough for a full day of general smartphone use), with a full charge taking just under 70 minutes from flat – impressive stuff to say the least. 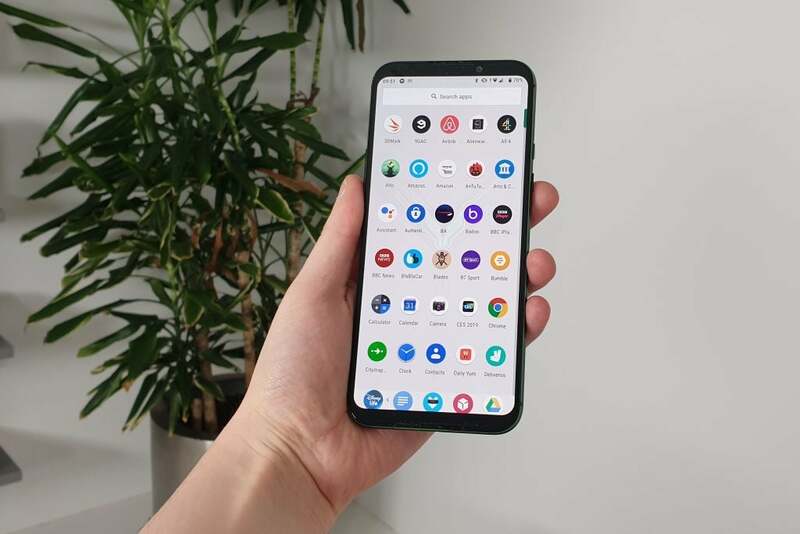 The Black Shark 2 uses stock Android for its software. Swipe up and you’ll bring up the apps drawer, so you can access the likes of Facebook, Twitter and your emails. Of course, you can also drag your favourite apps to the homescreen for easy access. It’s all very simple to navigate, while also providing sufficient customisation options for you to personalise your setup. You also get the option between Quickstep and Microsoft Launcher as your Home app. Personally, I prefer the former; it’s cleaner and slicker. That said, if you’re a big fan of Microsoft apps then the Microsoft Launcher provides easy access to Cortana, Microsoft Office and Xbox and the like. It’s impossible not to mention the Shark Space when talking about the software. The Shark Key on the side of the device, which could easily be mistaken for a mute toggle, provides easy access to the gaming-focused mode. When activated, the Black Shark 2 feels like a dedicated gaming device, complete with its own striking intro animation. Within this space, you have instant access to all of your mobile games, as well as tools to temporarily turn off the call function and notifications, so you can play interruption free. Drag down from the top-right corner of the phone when in Shark Space mode or while playing a game and you’ll bring up the Gamer Studio. Here you can tweak settings, connect your controllers, set up the Wi-Fi connection or even summon a performance monitor that shows the frame rate at which you’re currently gaming. In terms of gaming, Black Shark has thought of it all on the software front, making this smartphone feel like a premium gaming device. The Black Shark 2’s cameras are surprisingly respectable. On the rear is a dual-lens arrangement with both sensors boasting 12 megapixels a piece. The secondary camera also offers 2x optical zoom, helping to prevent zoomed-in shots looking distorted and blurry. So how does the rear camera perform? Pretty darn well to be honest. This is never going to compete with AAA smartphones that specialise in photography but it wasn’t too far off the quality of my Samsung Galaxy S9. Colours are eye-pleasingly vivid, and while detail isn’t pinpoint accurate, it’s crisp enough to please most. Images captured on the Black Shark 2 appear noticeably brighter than they do on my Galaxy S9. 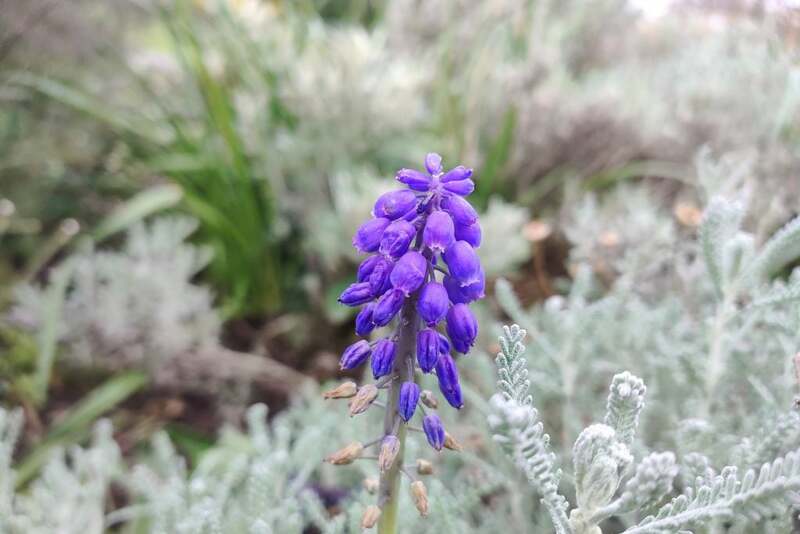 The device seems to artificially brighten the image, which isn’t necessarily a negative thing – unless you’re a stickler for natural and neutral tones. Photos suffer significantly in low light, however. 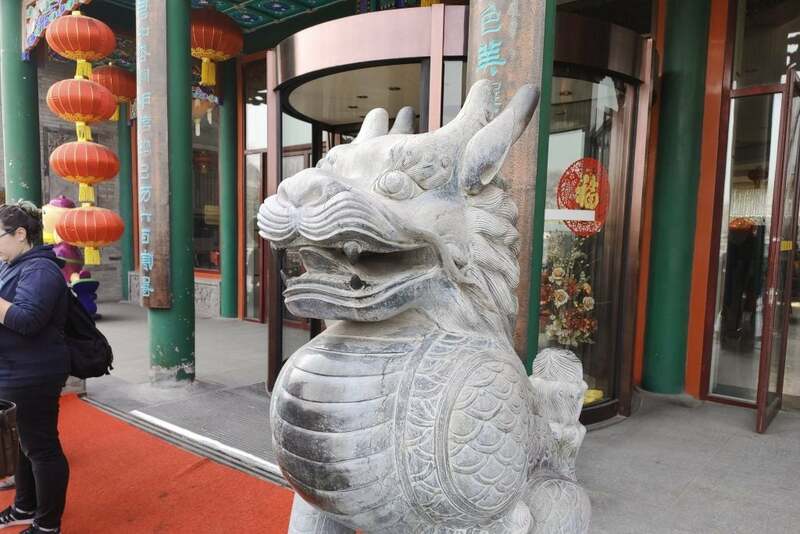 As you can see with the picture of the Chinese restaurant frontage, image quality is a little hazy when ample light isn’t available. 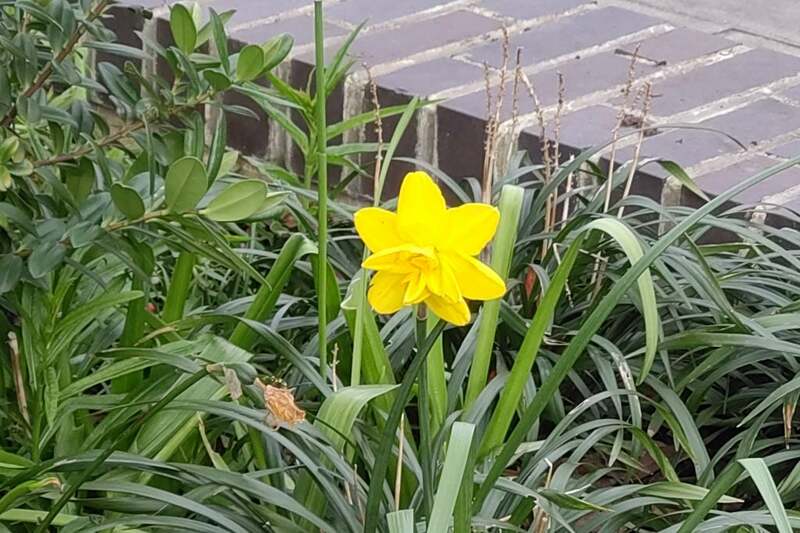 I was also disappointed with the zoom quality, with the daffodil showing that the second lens can’t prevent the image looking blurry once zoomed in at x2 magnification. In terms of selfies, the Black Shark 2 exceeded my expectations. The 20-megapixel sensor captures super-detailed and expressive shots. It was far better than my S9 in this regard. The optional Portrait mode will also blur out the background, allowing your face to take centre stage. Again, images look really bright, but not to the extent that they’re oversaturated. The Black Magic 2 is also capable of Full HD and 4K video shooting at 30fps. Captured footage looked decent, but nothing special. Why buy the Black Shark 2? The Black Shark 2 is the best gaming smartphone currently available. It offers immense value, being a few hundred quid cheaper than the Razer Phone 2 and Asus’ ROG Phone, whilst boasting far better benchmark results. There’s also a smattering of cool gaming features here, from the Master Touch controls and excellent cooling system to the optional controllers and other accessories. 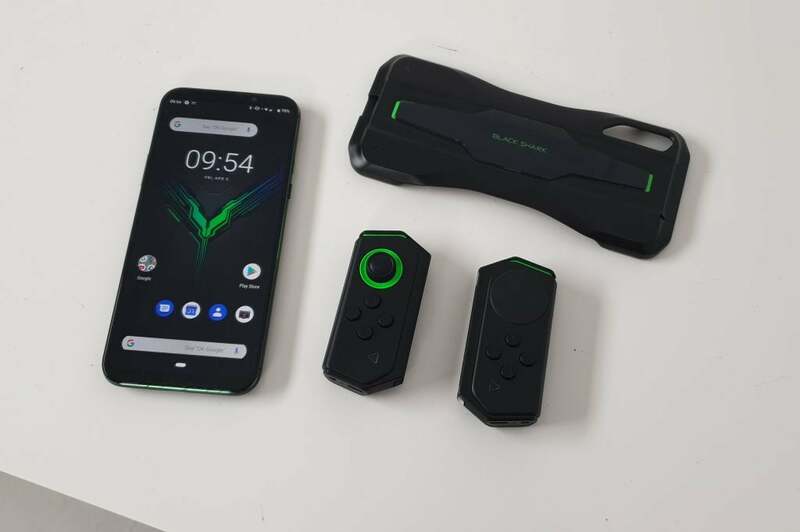 There are also numerous features here that will excite non-gamers, including an AMOLED display, a super-responsive in-display fingerprint scanner, and a lengthy battery life that sees the Black Shark 2 easily survive a full day. The Black Shark 2 isn’t quite perfect, with a limiting 60Hz refresh rate, Full HD visuals and the absence of a headphone jack (although you do get a USB-C-to-headphone jack adapter in the box). Nevertheless, these issues aren’t significant enough to push you towards more expensive competitors. My only major reservation is that most people in the UK are unlikely to play enough action titles or shooters on mobile to really take advantage of the Black Shark 2’s hardware. The likes of puzzlers, endless runners and Pokémon GO won’t see you use even a fraction of the power on offer here, and for which your standard smartphone will be perfectly fine. However, if you play Battle Royales (read: PUBG Mobile and/or Fortnite) on the go then I can’t recommend the Black Shark 2 enough. 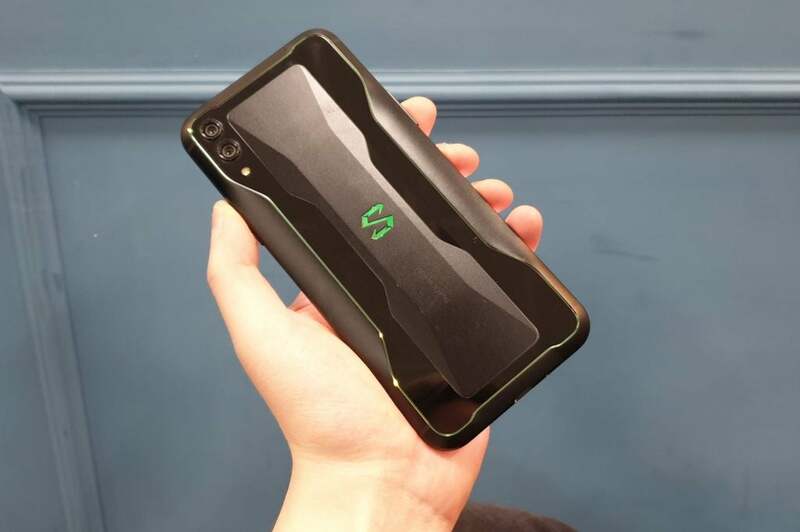 The Black Shark 2 is the ultimate gaming smartphone. Loaded with fancy features and offering a super-powered performance, even non-gamers will get great value for money at this low price.